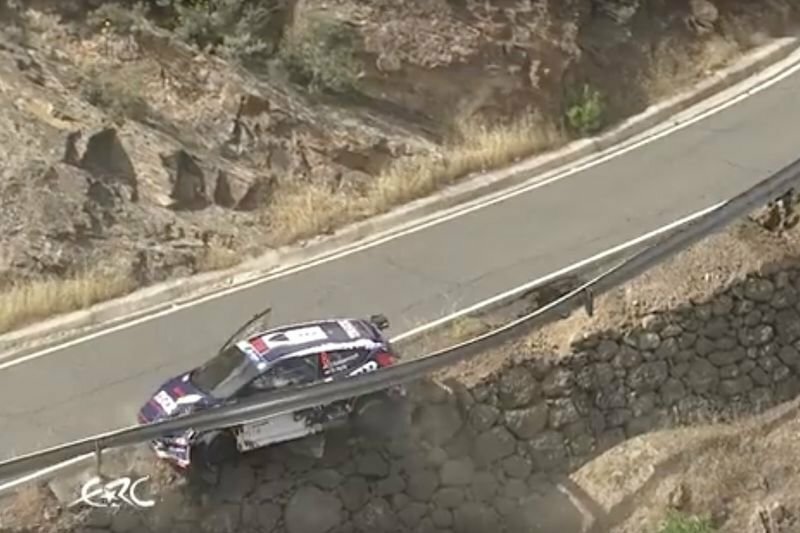 During the first stage of the Rally Islas Canarias in Spain, rally car driver, Tomasz Kasperczyk, nearly crashed off a mountain slope. Thank goodness for the person that invented guardrails! The Ford Fiesta R5 pushed out the guardrail just enough for the car to dangle off the road surface. The 24-year-old emerged from the crash unharmed, but as for the car it seems that it will not return for action in the event again. Was he just lucky or maybe the guardrails actually saved his life, watch the video below!